*This a sponsored post on behalf of Cost Plus World Market and I have been compensated. However, all opinions are 100% my own. This post also contains affiliate links for your convenience. If you decide to make a purchase through one of these links, I will make a commission at no additional cost to you. Please see my full disclosure policy to learn more. 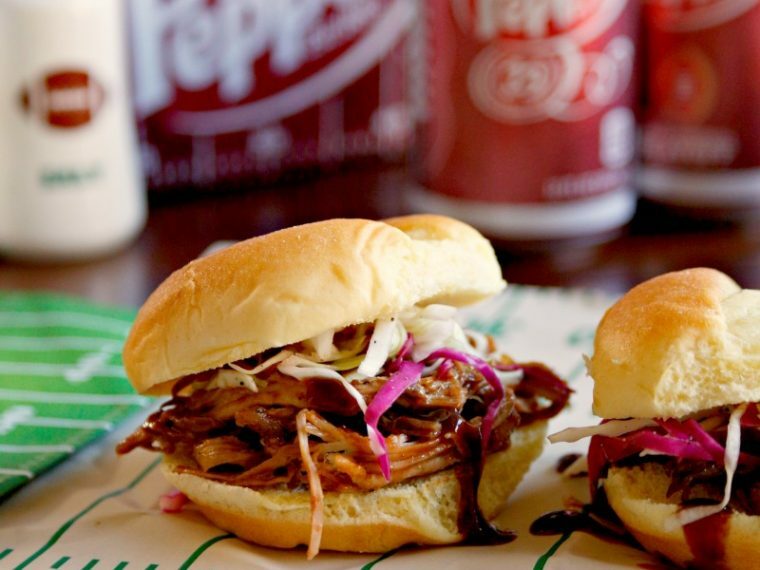 Can you believe the big game is right around the corner? 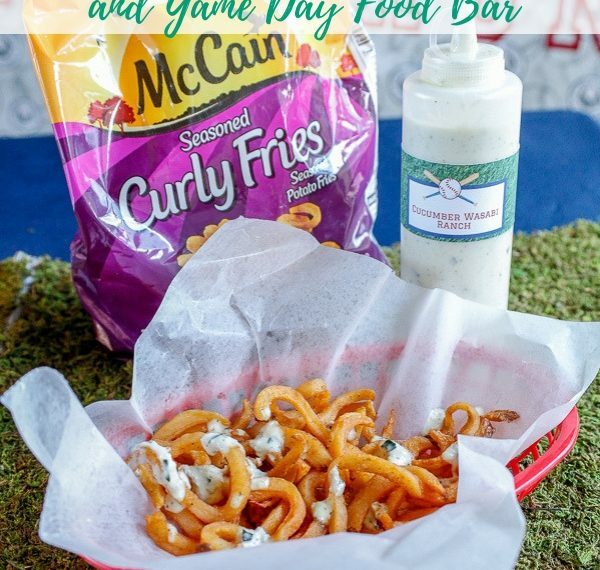 The other day I shared with you how to set up a kid friendly snack bar. 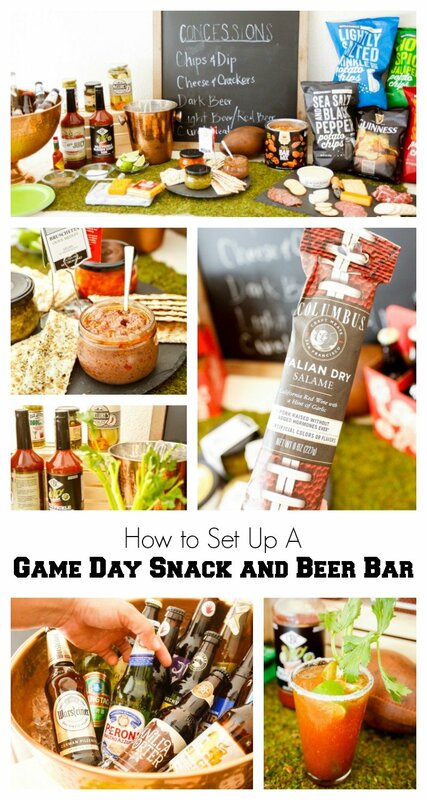 Today, I'm showing you how to set up a game day snack and beer bar for the adults. 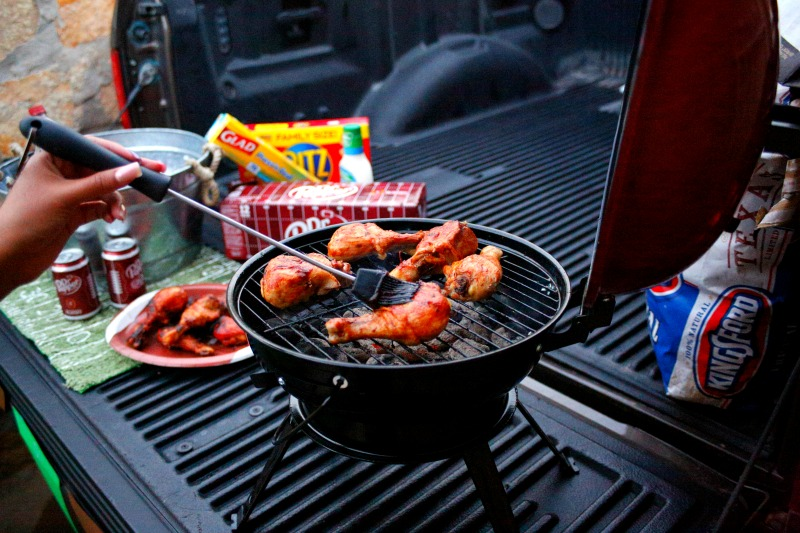 I live in Texas where football is a part of life. My hubby played college ball, my son plays peewee football, and I even played powder puff football back in my sorority days. Unfortunately my fantasy football team did terrible this year, but it didn't stop me from stocking up on goodies to enjoy the end of the season. I love my local El Paso Cost Plus World Market. The store is always so clean and well organized and everyone who works there is friendly and always ready to help. 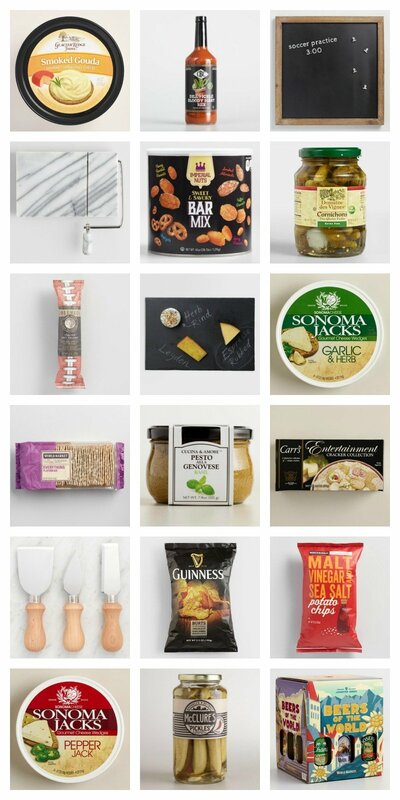 Plus, World Market has everything you need to set up the ultimate snack and beer bar. Cost Plus World Market is definitely ready for game day. 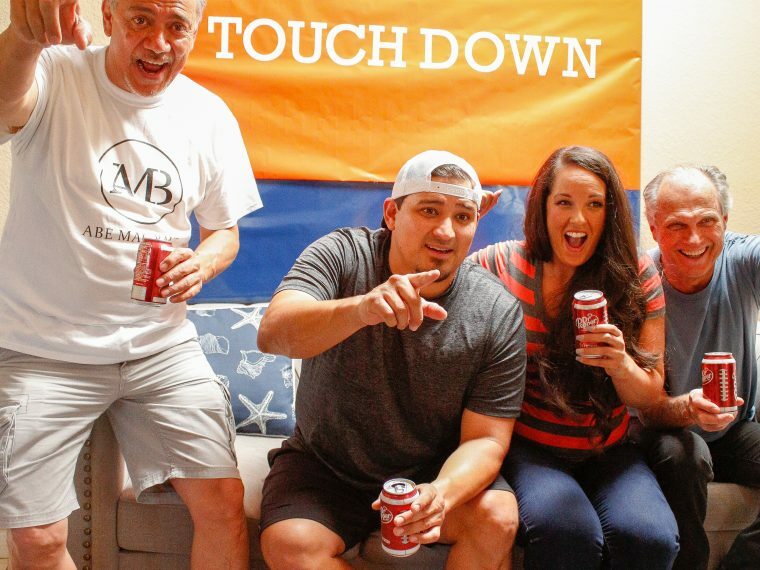 Football and beer go together like peanut butter and jelly. When I was college I took a class called beer brewing and society. I learned a lot about beer, including how to make it, beer history, and how to taste the elements that make up the different types of beer. I ended up falling in love with the dark stuff! 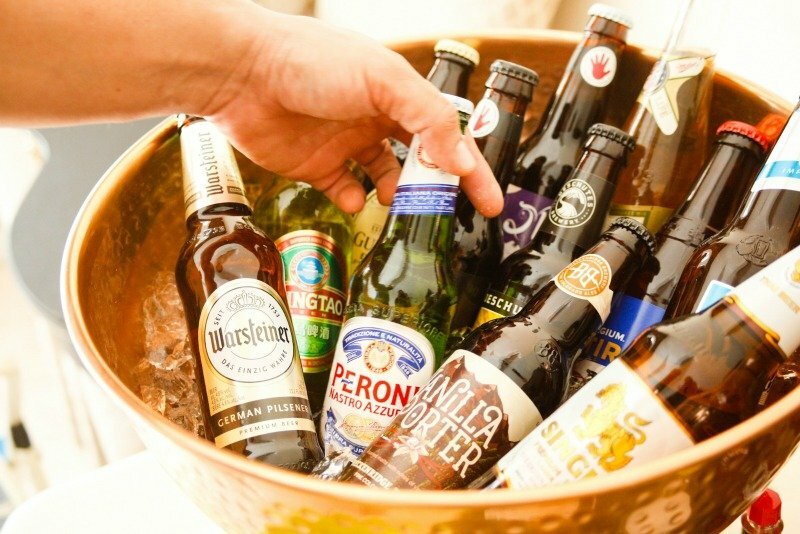 But I know that my hubby and our friends like a wide variety of beers. 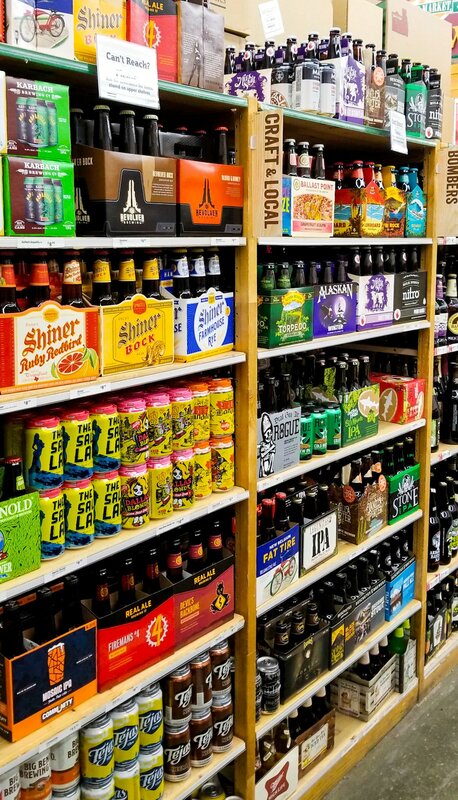 Cost Plus World Market has got one of the best selections of beer that I've seen. There's something for everyone! 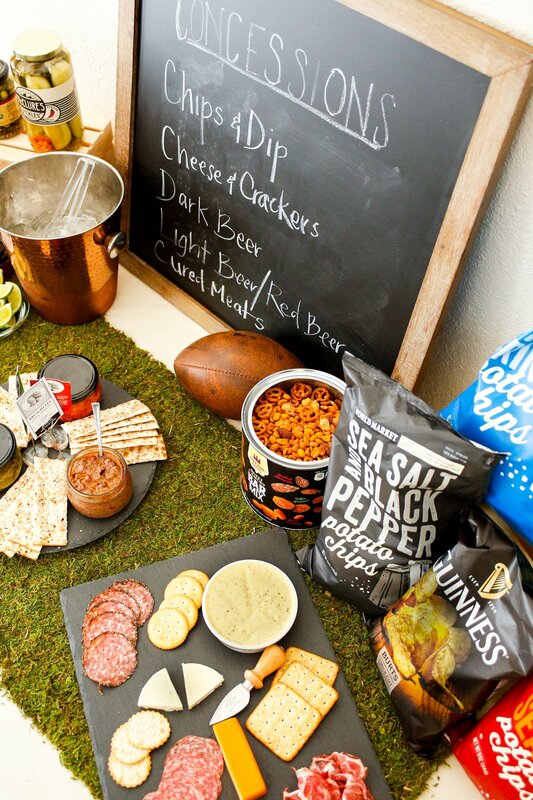 On my shopping trip, I grabbed all of my essentials for a fantastic game day snack and beer bar including the beer, cheese, crackers, pickles, olives, drink mix, serving dishes, even cured meats! Back at home, it was time to set up my new goodies and get ready to watch the game. 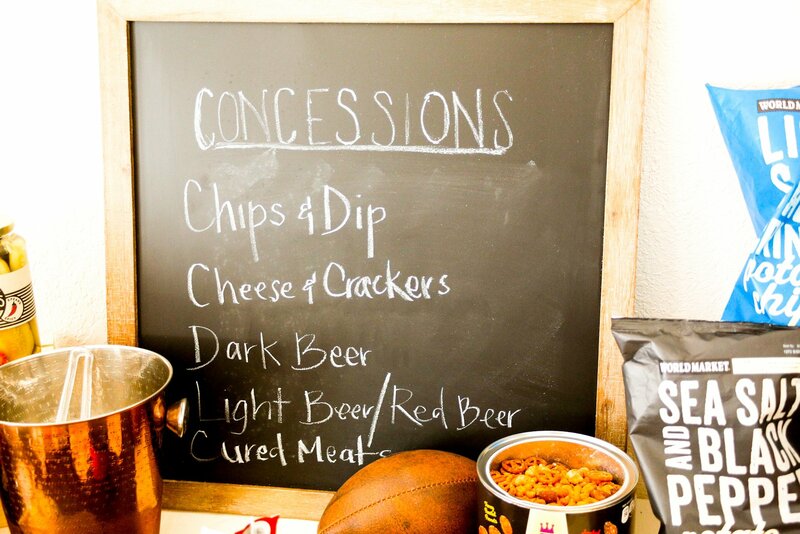 I wanted the snack and beer bar to have a concession stand feeling. 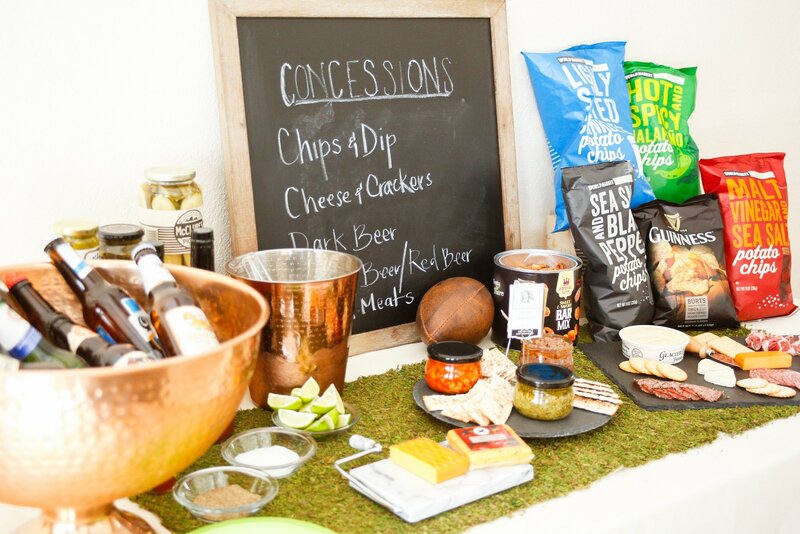 So I used the chalk board that I picked up from Cost Plus World Market and wrote "Concessions" on it along with some of the goodies I was serving. Like I said earlier, I love the selection of light and dark beers available at Cost Plus World Market. My hubby had a hard time deciding what he wanted to start with. To go with some of the light beers, I set up a section of the table for making red beer, my favorite! 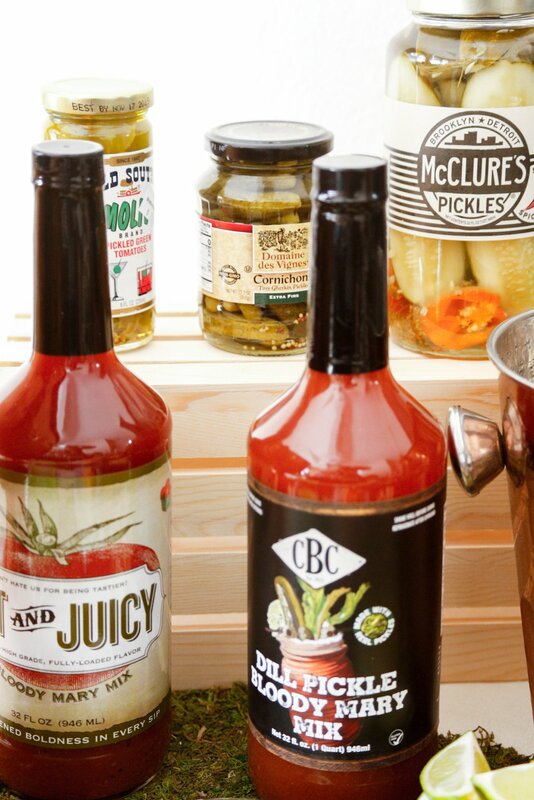 I grabbed some of the ingredients on my trip to Cost Plus World Market including Bloody Mary mixes, pickles, pickled green tomatoes, olives and hot sauce. And now, on to the food! 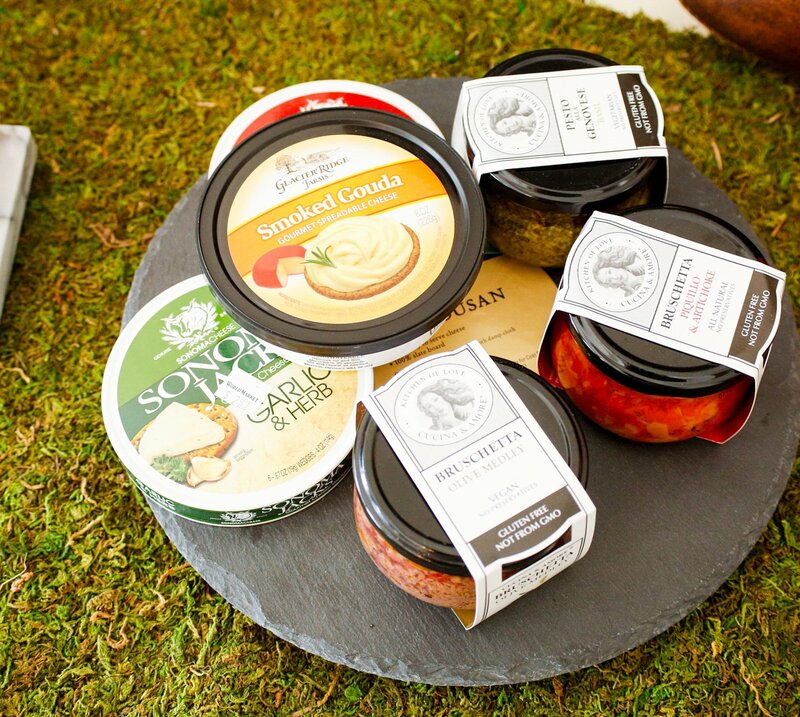 Oh my goodness, these dips are so delicious!!! 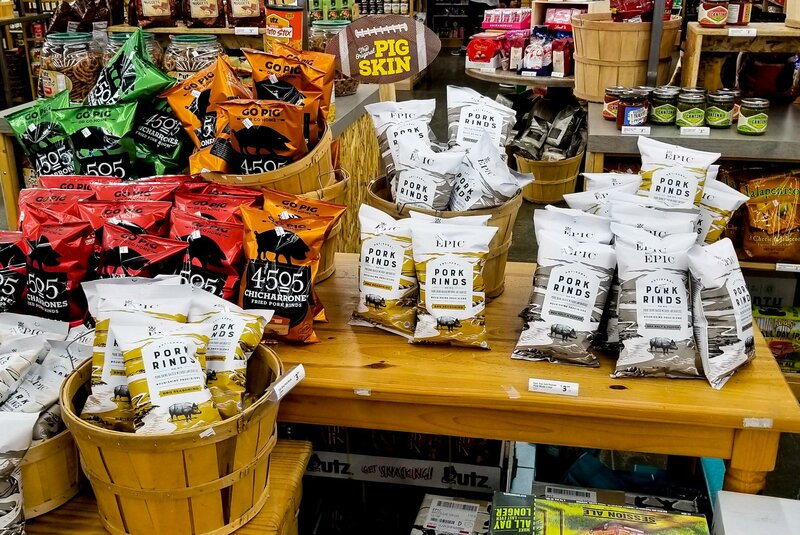 The chips! 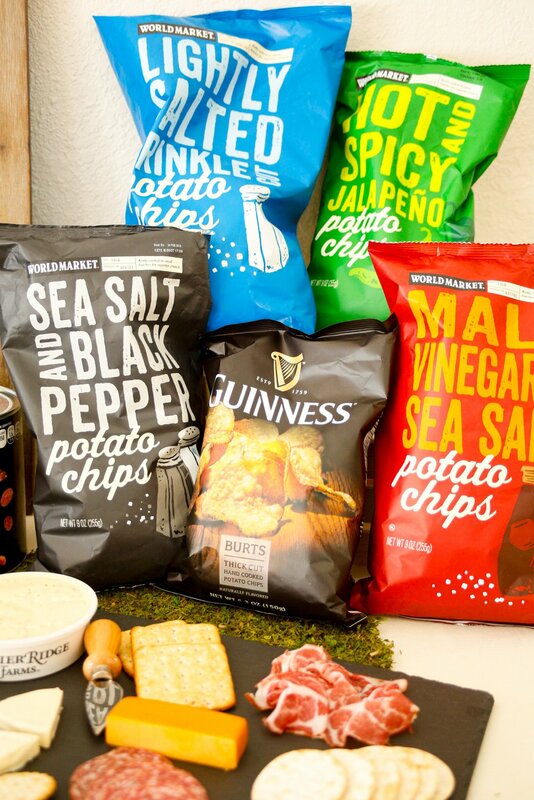 Every single one of these varieties of World Market Chips were ah-mazing! Yum! 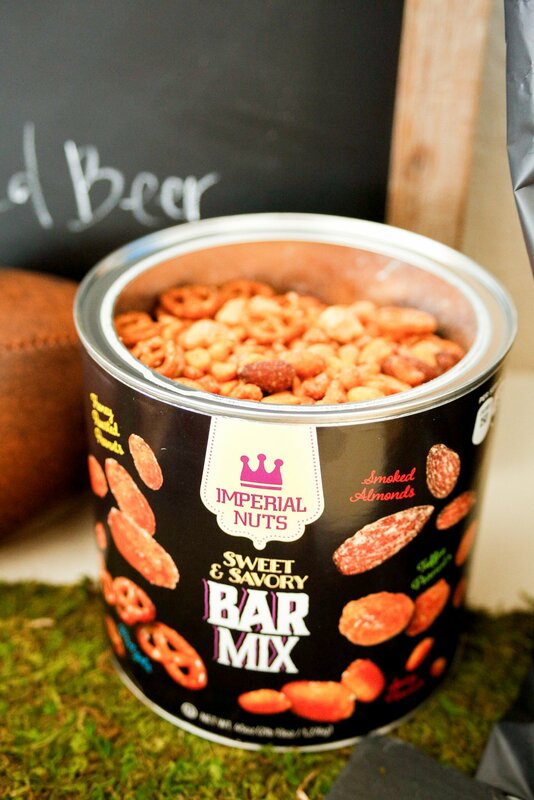 Other salty snacks - this Bar Nut mix. 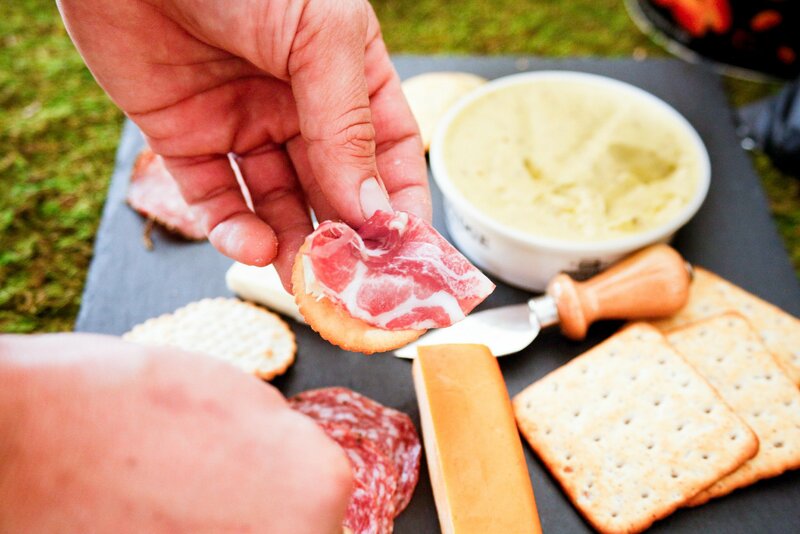 Did you know you can get gourmet cured meats and cheeses at Cost Plus World Market? 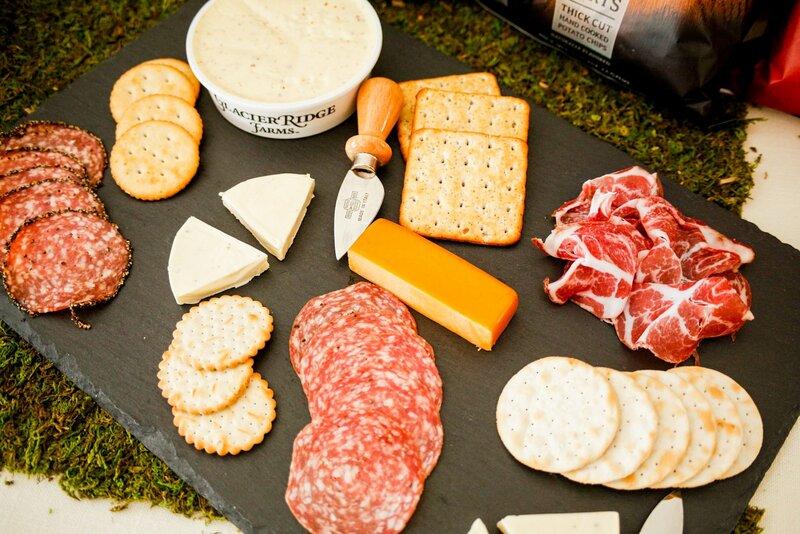 Perfect for serving up on my new World Market slate cheese board. 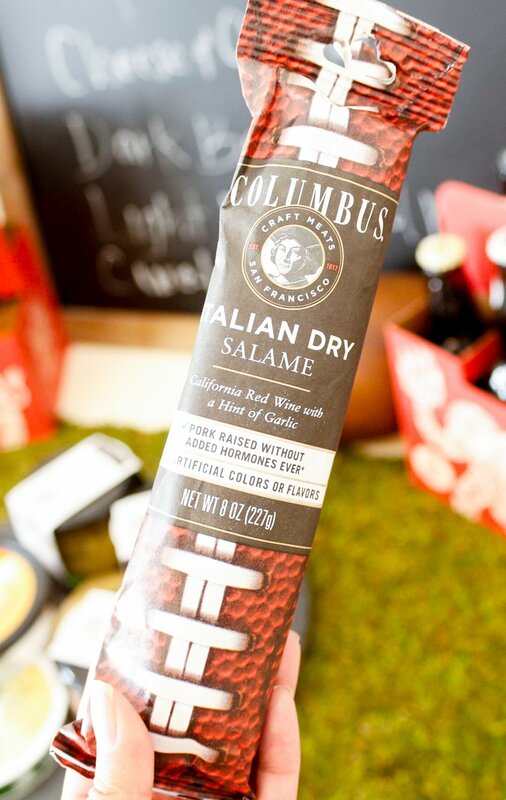 Can you believe this adorable football Italian dry salame? I made up a red beer for myself by running a lime wedge around the rim of glass then dipping it in salt. 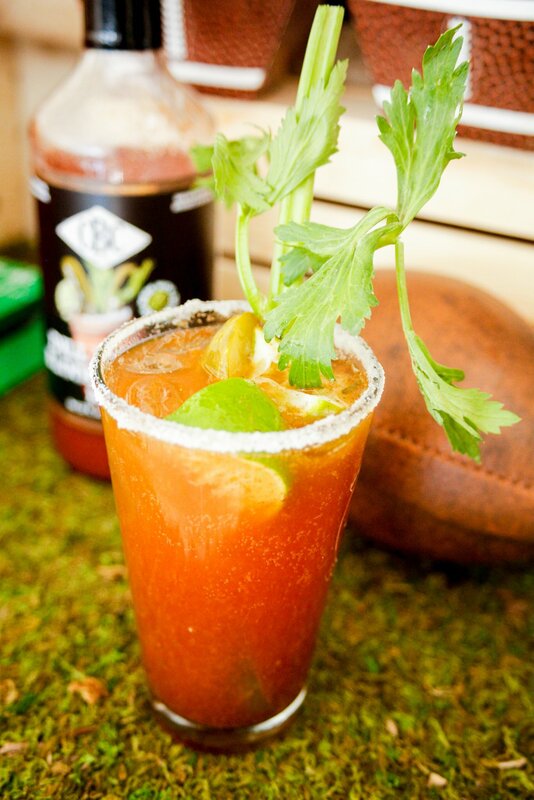 I then added ice to my glass and the juice from half of a lime, a dash of worcestershire sauce, a little pickle juice, some olive brine, celery salt, and the bloody mary mix. I topped the drink off with some light beer and garnished with the lime wedges, a stalk of celery, and a pickle spear. 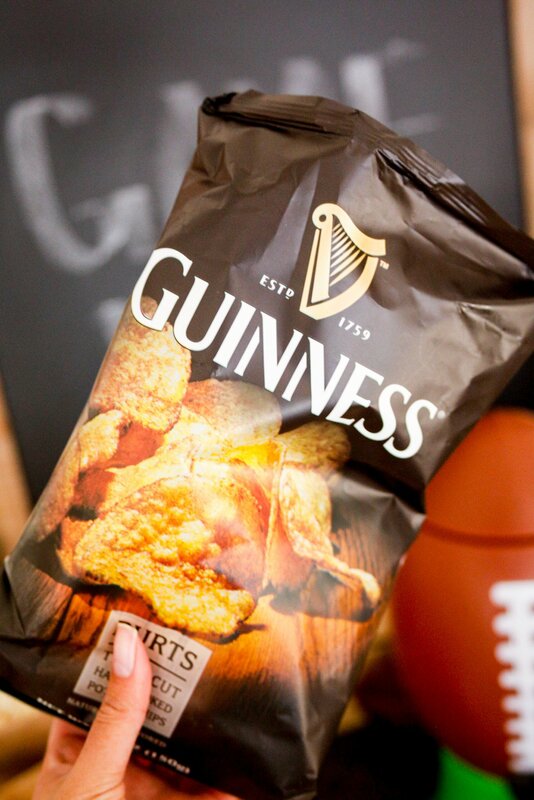 These Guinness chips are my new favorite thing to munch on! 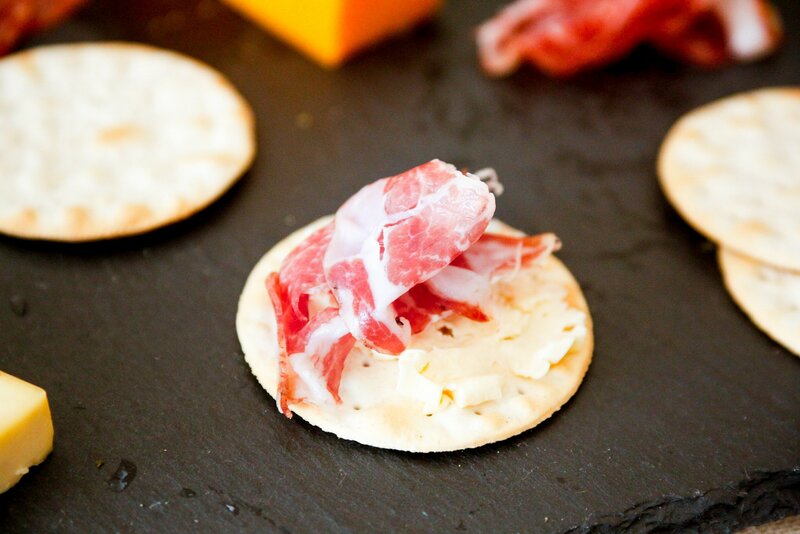 Hooray for cheese, crackers, and proscuitto. Everything was so delicious and I didn't even need to cook. 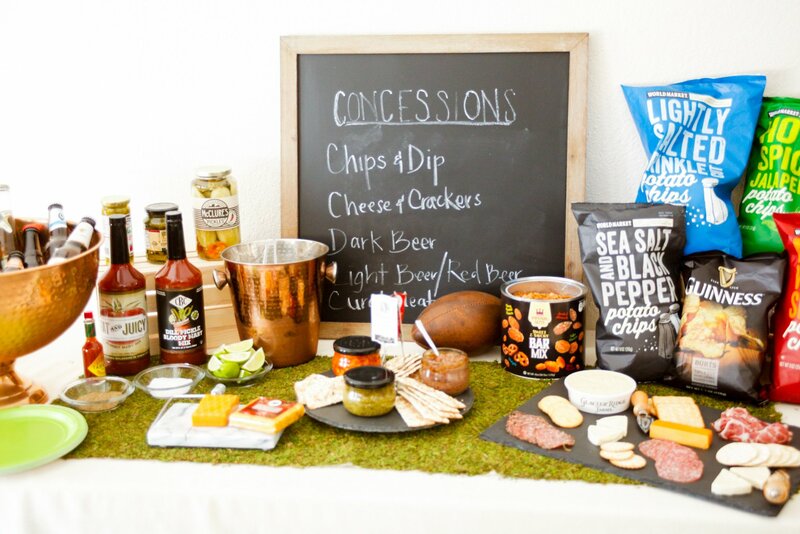 This snack and beer bar was so easy to set up thanks to being able to get practically everything in one shopping trip to Cost Plus World Market. 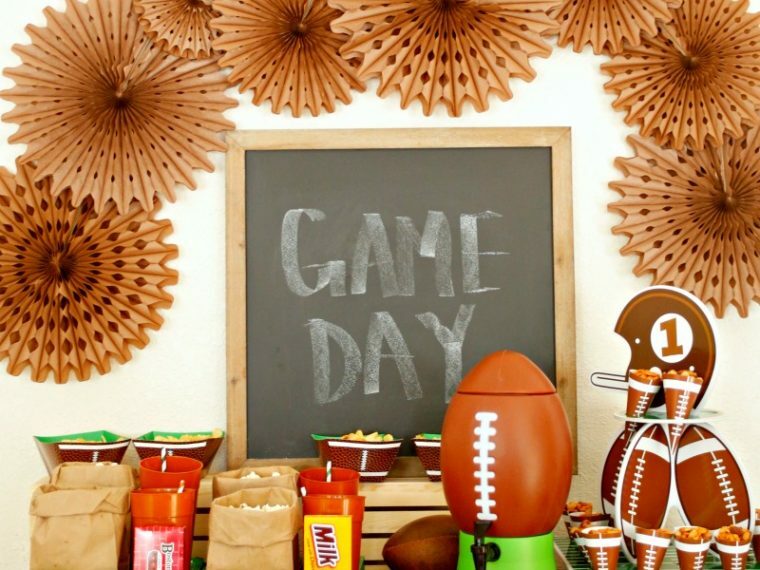 Here's just a few of the items available to make your game day awesome! 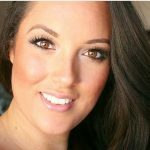 Hi, I’m Jordan – a work at home mom with 3 super fun little boys and a rising country star hubby. 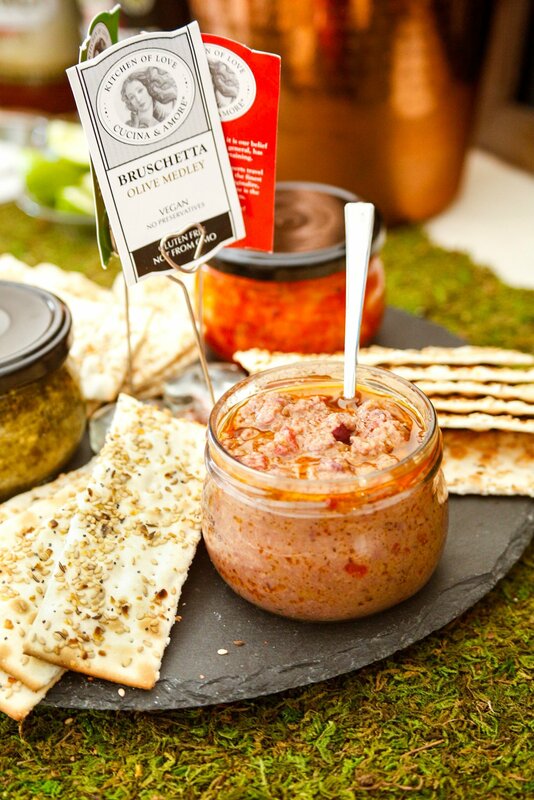 I love entertaining guests and want to help you make entertaining easy! 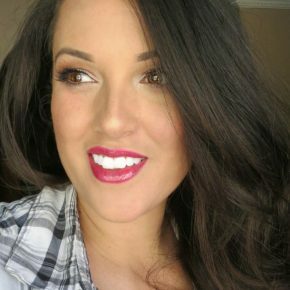 Hi, I'm Jordan - a work at home mom with 3 super fun little boys and a rising country star hubby. 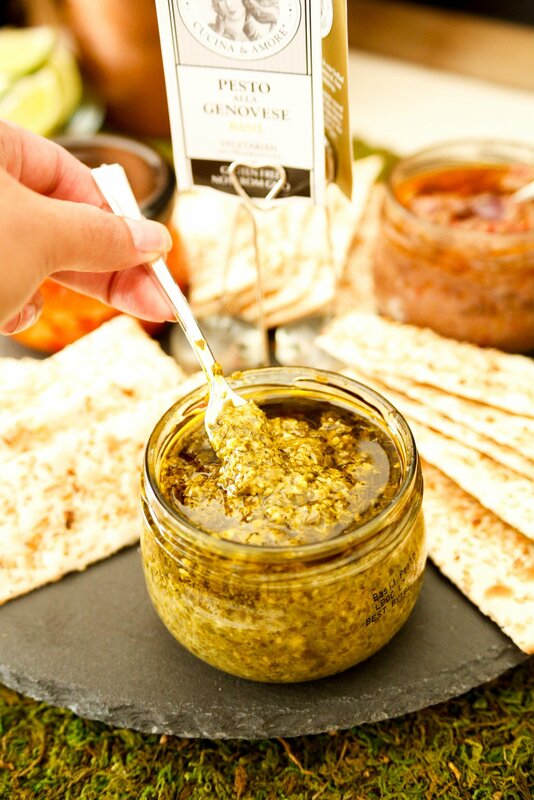 I love entertaining guests and want to help you make entertaining easy!